Home Diet Do Possums Eat Ticks? 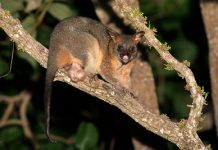 – How Many Ticks do Possums Eat? Possums are pretty handy animals in that they fend off ticks that carry Lyme disease. They are very fond of eating ticks. Studies suggest that opossums consume as many as 5,000 ticks in a single season but they can eat more if ticks are abundant. They actually travel on the forest floor searching for ticks while eliminating nearly ninety percent of the ticks. Let’s see why do possums eat ticks. Opossums do not actively look for ticks. They just search for mice or other insects on the ground during which they come across ticks. Ticks will attack just about any animal that crosses their path. As they attack opossums the opossum eats all of them. Unlike most other animals, opossums are pretty clean animals. They continue to clean their bodies and doing so, opossums eat ticks. Thus, it is reasonable to assume that opossums are predators of ticks. According to studies, opossums are able to take on 5,000 ticks each season. Lately, the population of ticks shows the increasing trend and as such the Lyme disease is spreading too. 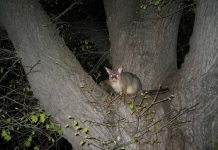 That is why many people are welcoming opossums to get rid of ticks in their yards. Opossums are actually the vacuum cleaners particularly when it comes to eating ticks. A small group of opossums can eat 10,000 to 12,000 ticks in a single month. 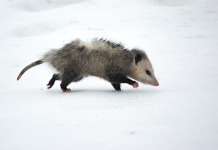 Studies suggest that 96.5% of ticks that latch on the opossum are consumed by the latter. Scientists have observed that each opossum approximately carries 5,500 larval ticks that indeed gives birth to 199 ticks.